Planning to move to Montvale, NJ? NJLux can help you determine if this is the best place for you. However, let’s begin with the basics. Montvale is located in Bergen County and has a population of nearly 8,200 residents. The Montvale population has a median income of about $110,635 and the median home value here is over $587,000. The ZIP code for Montvale is 07645. 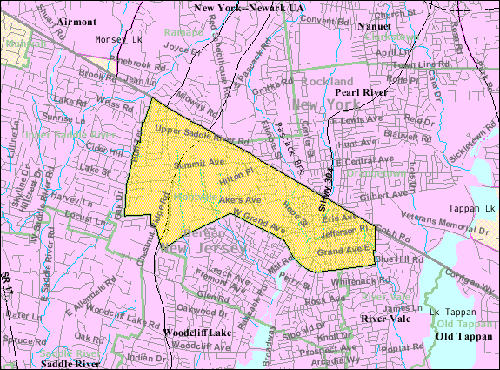 The borough borders Chestnut Ridge, Pearl River, River Vale, Park Ridge, Upper Saddle River, and Woodcliff Lake. Thanks to its geographical location, Montvale is served by the New York State Thruway and the Garden State Parkway (at exits 171 and 172). It is easy to see why Montvale is a resident magnet. Montvale is one of the safest suburbs in New Jersey. Some of the common crimes include theft, but it is low compared to the National average. Fieldstone Middle School, Memorial Elementary School, and Pascack Hills High School are the top public schools that serve Montvale. Children who are living in Montvale also attend the Saint Joseph Regional High School. As you can see, Montvale is a stellar place to start a family. It is home to a big and friendly community, and a wide range of recreation and sports programs (designed for your little ones). For adults, they have access to all of the modern conveniences, restaurants, yoga studios, and many more. Bellissimo Ristorante is a popular dining spot in Montvale. The establishment continually strives to make their customers feel that they are part of one big family. Bellissimo serves top quality homemade Italian food at very affordable prices. This is one of the reasons why diners keep returning for more. Some of their must-try dishes include Prince Edward Island Mussels, Rigatoni Bolognese, Fresh Mozzarella & Imported Prosciutto, and more. Bellissimo Ristorante also offers set party packages that cater up to 25 people. Your corporate event or birthday can happen here! Located in Montvale, Fire & Oak is a restaurant that is famous for its American grill. You can easily find the restaurant because it is adjacent to the upscale Courtyard Marriott Hotel. Diners have the option of dining in one of their rooms, including the candle room, the main dining room, the upper balcony, and the fully private oak room. Fire & Oak is also home to a very popular bar and lounge area. It is the hangout of a lively after-work crowd. The Gravity Vault Indoor Rock Gyms offer a memorable and positive rock climbing experience for every individual. Whether you are a novice or expert, old or young, their climbing facilities offer a welcoming environment that allows you to keep fit and challenge yourself each day. This is the second-largest shopping mall in the NY metropolitan area. Palisades Center Mall is home to an array of department-store anchors, movie theaters, and more. Located in the heart of Ramsey, Ramsey Golf and Country Club is a historic property that’s home to a scenic 18-hole golf course, a formal English garden, lakefront pool, and a paddle tennis facility. You will need to be a member to enjoy their sporting activities. However, dining facilities are open to the public. Want to know more about this suburban neighborhood? NJLux can help! You can view top quality properties in the area. Don’t forget to check out the latest Montvale listings in the meantime!